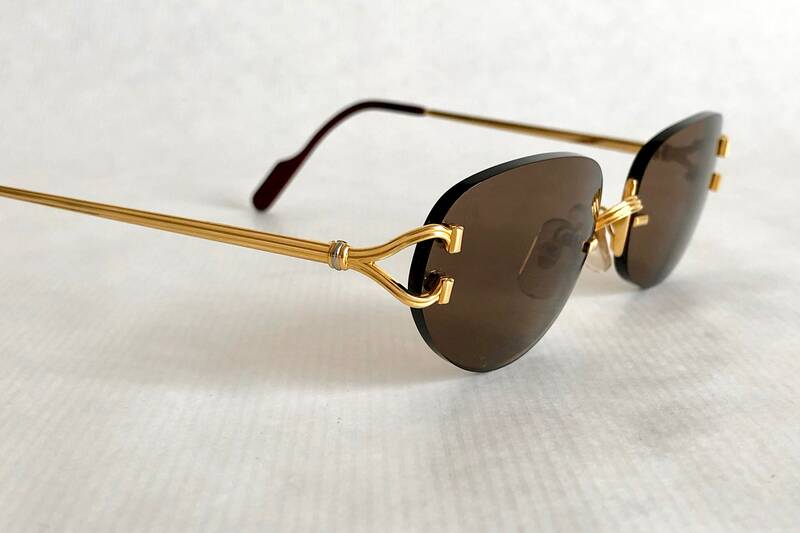 New unworn deadstock, frame and lenses are in perfect condition. 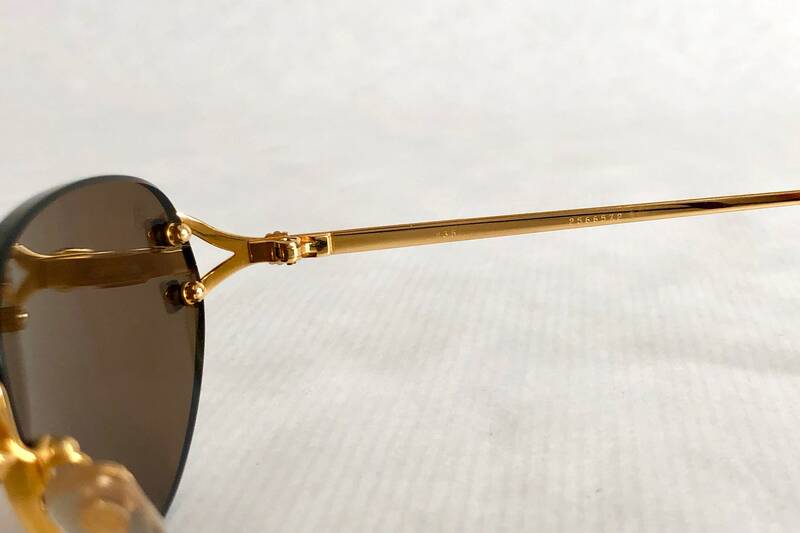 Incredibly rare, the Cartier Portofino takes the C decor to another level with its engraved temples and nose bridge. 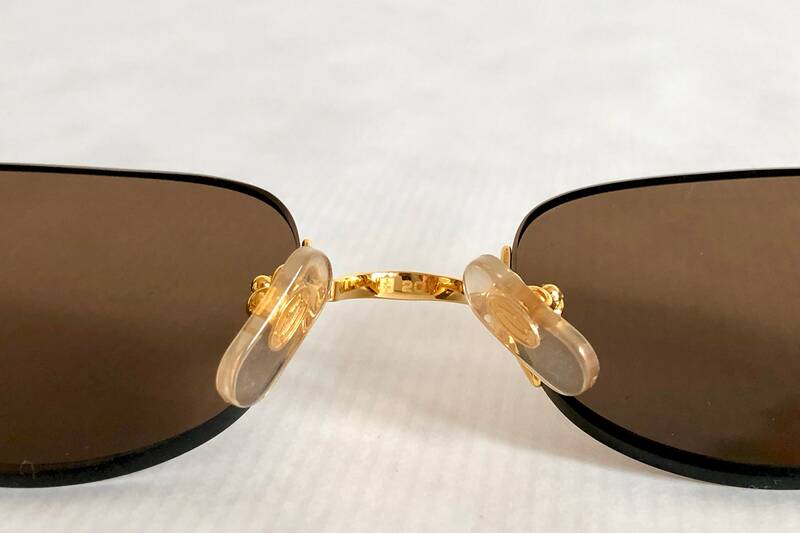 Plated with a thick layer of 22K Gold (5 micrometres), the Portofino combines the minimalistic style of the Cartier Madison with perfectly shaped original Cartier sun lenses and a Trinity temple decor. 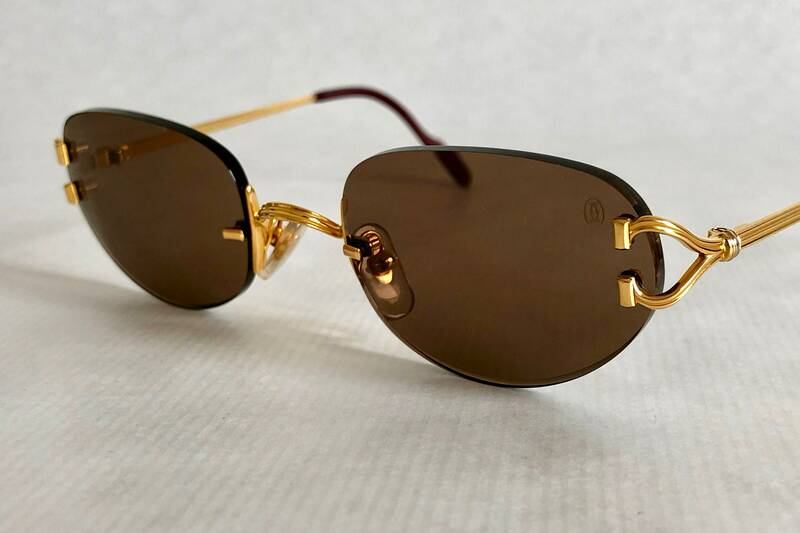 The Portofino might just be the rarest rimless frame produced by Cartier in their traditional workshop close to Paris. 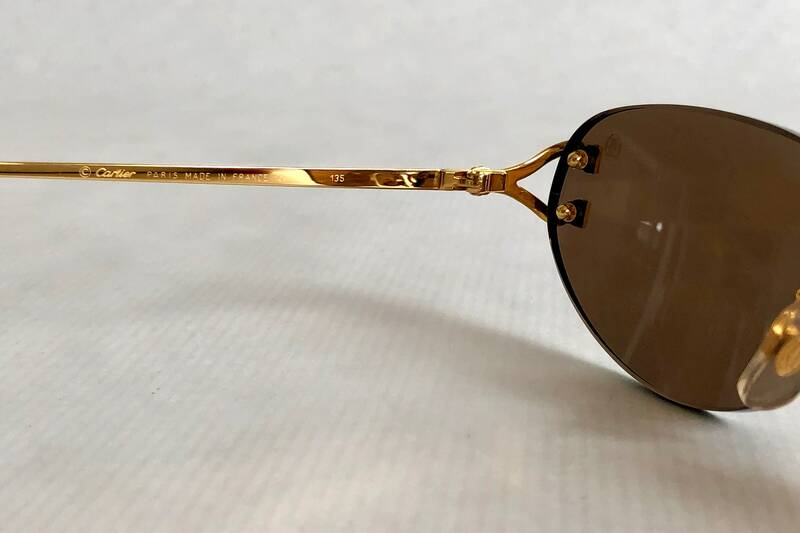 This was the place where the Vendôme and Must designs sparked a new era of luxury eyewear in 1983 which remains unequaled in terms of quality, craftsmanship and design. 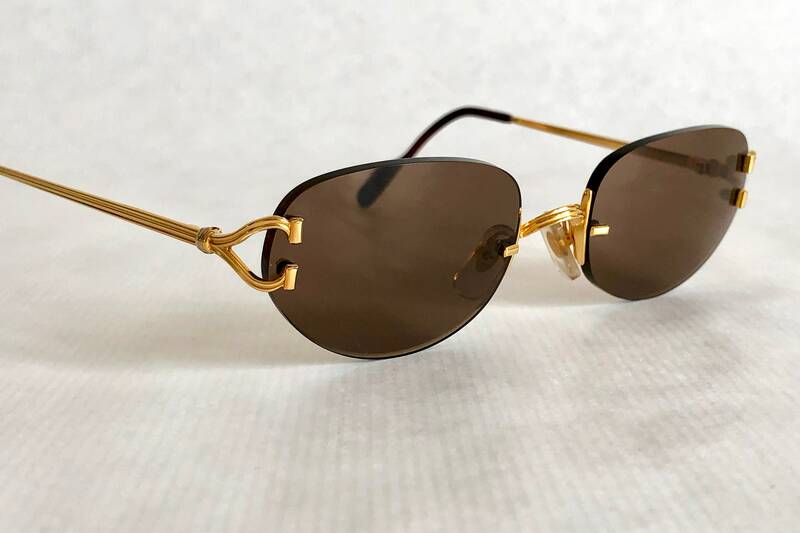 From the early classics to the precious wood line and of course the legendary rimless C Decor series, this was the place where the magic happened. 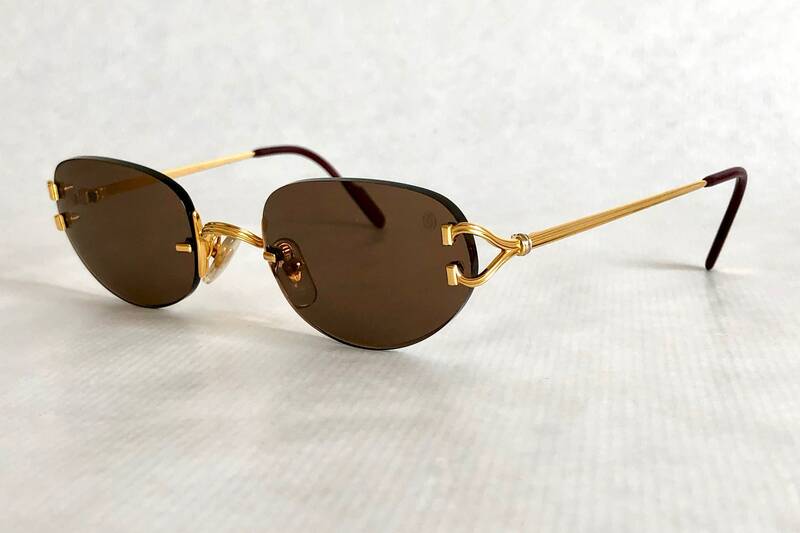 The limited Salisbury will remain a timeless classic for generations to come. 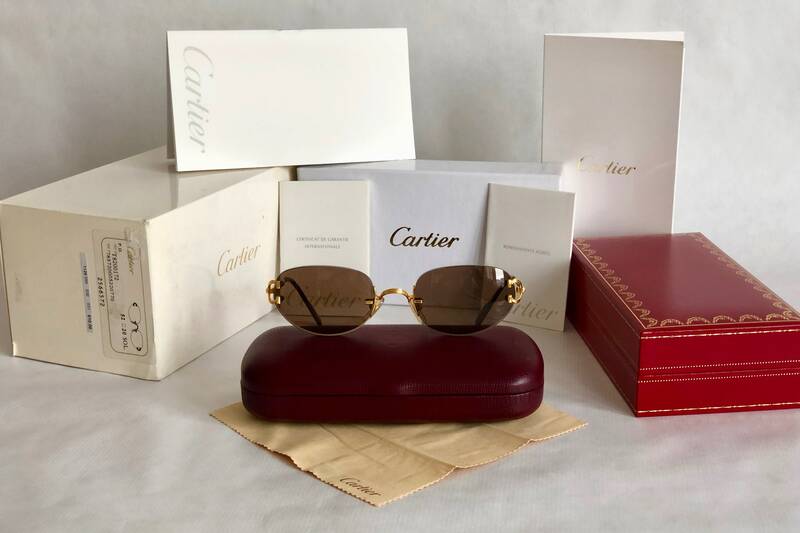 Original dark brown Cartier lenses with Cartier watermark and 100% UV protection. 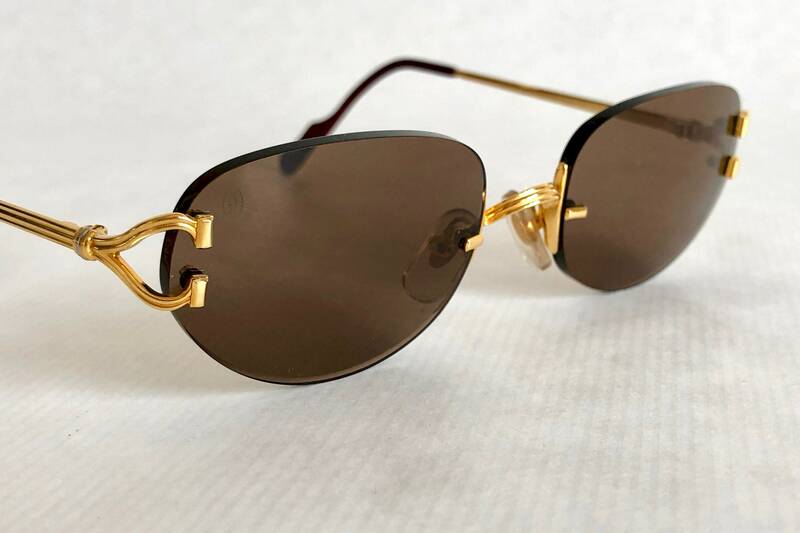 Back of nosebridge features the Cartier gold watermark. 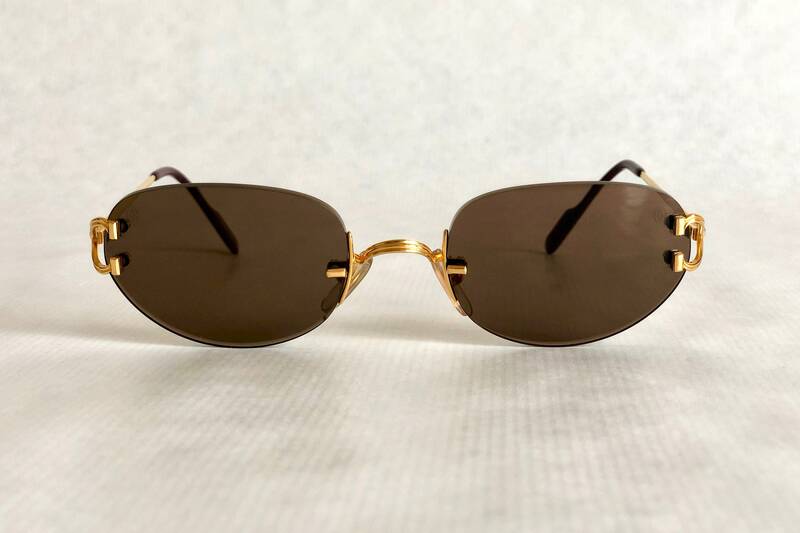 Serial number engraved on left temple.